The Lesser House Fly (Fannia canicularis) is a frequent sight in the UK, often found hovering around light fittings. While they can be a major annoyance, they also help to spread a number of dangerous diseases including cholera, typhoid, and dysentery. The lesser house fly is similar in appearance to the common house fly. 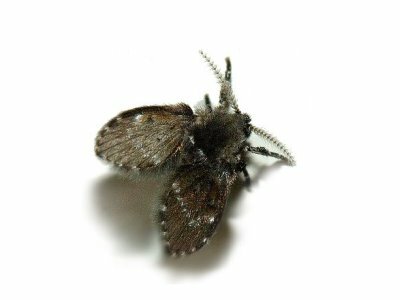 The main difference is in their size; while the house fly typically measures 8mm in length, the lesser house fly will only reach between 3.5-6mm. In addition, the common house fly doesn’t have quite such a rotund body, instead having a narrow thorax. The most distinctive characteristic of lesser house flies is their flying pattern. When they enter a room, they will typically gravitate towards light fittings or other objects hanging from the ceiling. They will then incessantly fly round and round these objects, which can be extremely annoying to whoever might be in the room. This behaviour is actually the fly patrolling its territory, and it is only male flies who perform this function. During this time, they will attack any smaller insects who intrude on their territory, although they do periodically take breaks. Lesser house flies will only follow this pattern during the daytime; at night, they will land somewhere close by to rest. Female lesser house flies will seek out faecal matter or rotting food as a site to lay their eggs. These are typically laid in batches, with each one containing around 50 eggs. 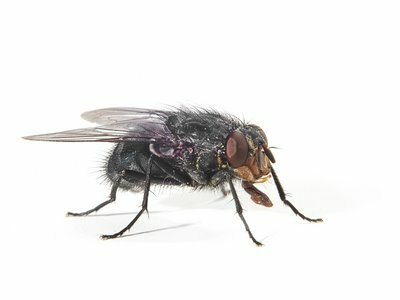 A single female fly may lay over 2000 eggs during her lifespan, meaning a lesser house fly infestation can quickly spread into a huge problem. Once the eggs have hatched, the larvae will feat themselves on the matter that they were laid in. The biggest threat which lesser house flies pose to humans is their role in transmitting serious diseases. Like other flies, they feed by vomiting onto organic matter to dissolve it before sucking the resultant liquid up through their mouthparts. 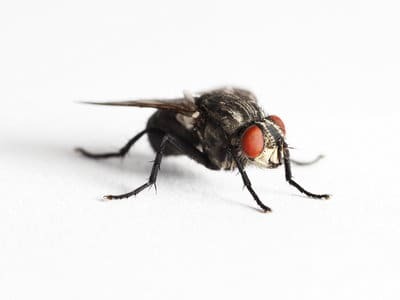 Since these flies will alternate between the food we eat and rotting matter or animal droppings, this naturally means that any bacteria they pick up from the latter can easily be passed on to the former. 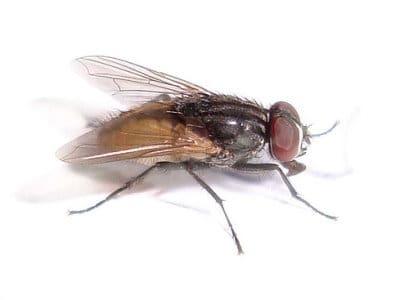 Lesser house flies may also contaminate clean surfaces as well as food, and since the germs are only present on a microscopic level, you will have no idea of the danger you are facing. While this is a considerable issue in homes, it can have devastating consequences in food manufacturing plants or anywhere that hygiene is an essential concern. Even one fly is enough to threaten public health, but an infestation makes this risk far more serious. What’s more, your audit compliance could be at risk if you can not demonstrate to auditors that you have the right measures in place to remove the problem as quickly as possible. In addition, the repetitive behaviour of flying around lights while buzzing continually can be incredibly frustrating to those who have to put up with them. 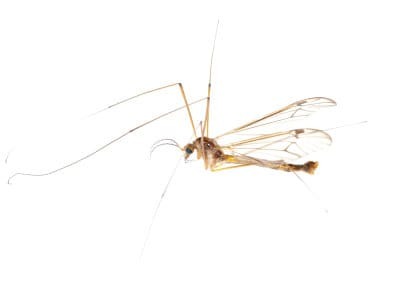 Although it may be possible to swat a few of them, they are faster than the average fly and so will generally avoid any attempts to eradicate them by hand. 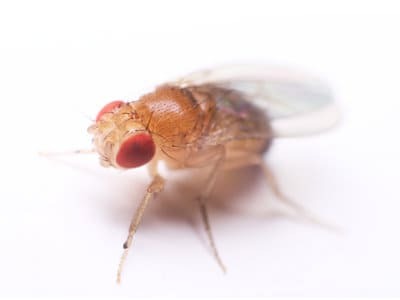 Furthermore, since lesser house flies reproduce so quickly, there will likely be many more waiting to take the place of any you do manage to catch. The only way of stopping an infestation in its tracks is to locate and destroy the larvae and pupae, which will be extremely difficult for anyone who isn’t experienced in tackling fly problems. Pest Solutions skilled BPCA accredited team of service experts and support staff are here 24/7 to assist in your Pest Control Management related concerns. Pest Solutions have many local offices throughout the UK enabling our highly knowledgeable service professionals in your town to respond rapidly to control those pest infestations. 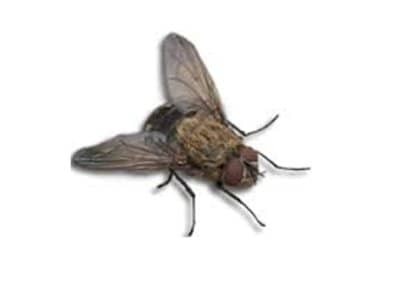 What’s more, we have a huge amount of experience in tackling lesser house fly infestations, meaning our technicians are capable of eliminating even the most severe outbreaks.